Ringing in a festive holiday season. Post-midterm America is undoubtedly a divisive place, and it appears that things aren’t so different over in Europe. Between Brexit negotiations and the rise of far-right, anti-immigration parties in Germany, Italy and Sweden, many Europeans are feeling as though their countries are as divided as ever. With Christmas just around the corner, online European fashion retailer Zalando has released a holiday ad that pushes a message of inclusion and acceptance during these tense times. The ad features a pan-European choir singing the words to ‘Silent Night’ in five different languages. What’s more, the chorus is made up of everyone from one-year-olds to centenarians, most of whom the agency said were found via street casting, community choirs, singing groups and even retirement homes. 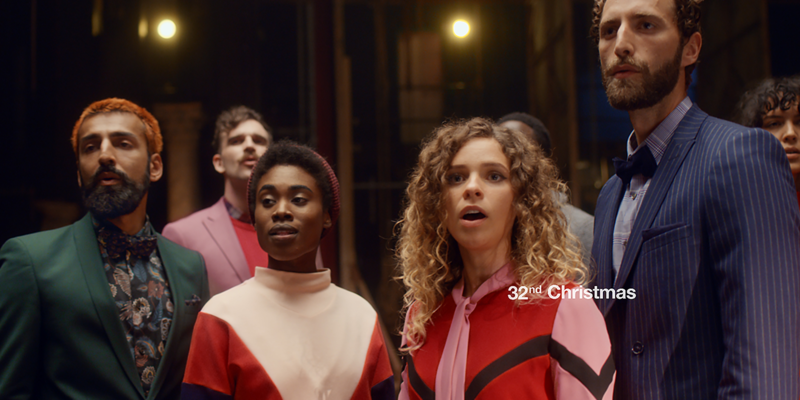 In the ad, each choir member’s age is expressed in the form of how many Christmases they’ve experienced (i.e., 44th Christmas). While their ages and languages vary, the one-minute spot hopes to remind people that Christmas is a time of year that brings people together despite their differences. Created by Wieden + Kennedy Amsterdam, the ad rings similar to Coca-Cola’s 2014 ‘It’s Beautiful’ spot, which aired again before last year’s Super Bowl. In the Coca-Cola ad, a diverse group people sing the lyrics to ‘America the Beautiful’ in languages including English, Spanish, Hindi, Tagalog and Hebrew. According to Zalando, this is the first campaign the company’s executed in partnership with Wieden + Kennedy Amsterdam. The effort, titled “Never Out Of Fashion,” spans TV, digital, print and out-of-home in 17 European countries.